Welcome to my website. Sit back grab a book and relax. Below are books available from me. 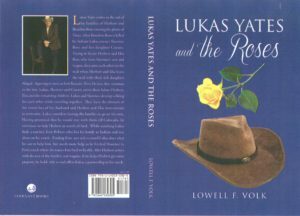 “Love can be a magical thing unless you are Lukas Yates who is a man of his word. Having promised to aid the Rose family he finds himself drawn to the widow he has promised to aid after rescuing Shawnee and her daughter Connie from the Indians in Texas. Can Lukas find it in himself to keep the promise made to see the family to Colorado? Can his heart face the woman whose husband he failed to save?”. 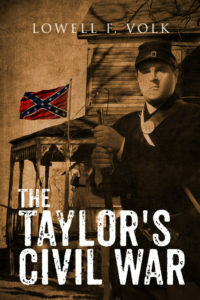 The Taylor’s Civil War, a novel by Lowell F. Volk, is a moving, action-filled story of the Taylor family, farmers in Virginia at the time of the Civil War, portrays the family’s struggle and hardship during this time when they too suffer loss of life and property. When Luke Taylor’s father leaves home to fight for the South in the Civil War, it’s up to Luke to be the man of his family. Luke struggles to keep his family safe as Union soldiers march through the South burning crops, destroying buildings, killing livestock. When a band of renegades dressed as Union soldier attacks his home, killing his brother and beating him and his mother, Luke must leave the farm to find his father. Luke Taylor Westward Bound Luke and his father return to see their farm facing a new threat – carpetbaggers from the North who threaten to seize their land. When Luke and his father resist, Luke has to kill a carpetbagger to defend his father. The leader of the carpetbaggers report to the Union army that Luke killed his man in cold blood. Luke must either stay with his family and risk being hanged or leave his home forever in search of a better life in the West. In Luke Taylor—Westward Bound, Luke races against time, Union soldiers, and bounty hunters on his way to join a wagon train in Independence Missouri. 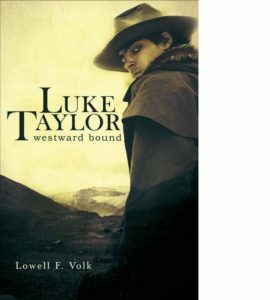 With only a packhorse, a few days supply of food, and a stowaway dog, Luke heads west on a tense, adventure filled journey of survival, Luke Taylor—Westward Bound takes reader along on a thrilling quest for freedom, peace, and ultimately, revenge. 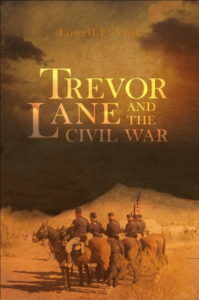 Trevor Lane and the Civil War When Trevor’s family is killed he gets into trouble with the law. To prevent him from going to jail the Local Chief of Police works with the Judge to get Trevor into the Army. Follow Trevor through the war along with the Pennsylvania Sixth Calvary, also known as Morris Lancers. After being captured by the Confederate Army Trevor almost dies while he is at Bell Isle prison. You can learn what life in prison was like for those who were captured during the war. Thanks to new friends that Trevor meets in the Army he is not alone anymore. Not being around horses as he grew up he meets a horse that no one can handle. The two are loners and develop a friendship that lasts through out the war as they learn to depend on each other. 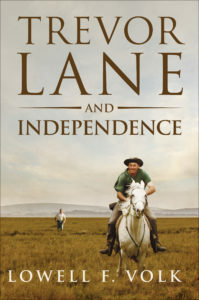 Trevor Lane and Independence When word comes that the war is over, Trevor travels back to the Wrights, only to find that their house has been destroyed and Margret and her son with it. He then decides he must move west carrying the weight of the loss with him as he goes. Follow Trevor as he travels through the South trying to make it out West. Being a former Union soldier in the Civil War while also encountering the very people that took the Wrights and his future away from him. Luke Taylor and Trevor Lane Join Luke and Trevor as their adventures continue. They fight outlaws and Indians while heading west. 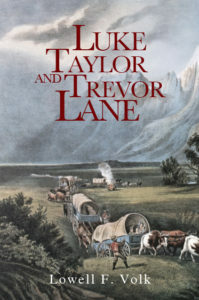 After reaching Independence, Luke and Trevor join a wagon train. On this wagon train the two boys discover old friends are traveling with them. The Wrights are relatives of an old friend who had saved Trevor’s life earlier during the war. The Daily’s had met Luke when he was in St. Louis and were on the train with them. All of their old friends welcome each other and recounted good times from the past on the wagon train. 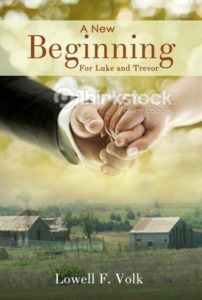 A New Beginning for Luke and Trevor After Luke and Trevor arrive in Colorado they begin a new adventure. Will they settle down or will they go further west exploring. Read about it in the New Beginning.